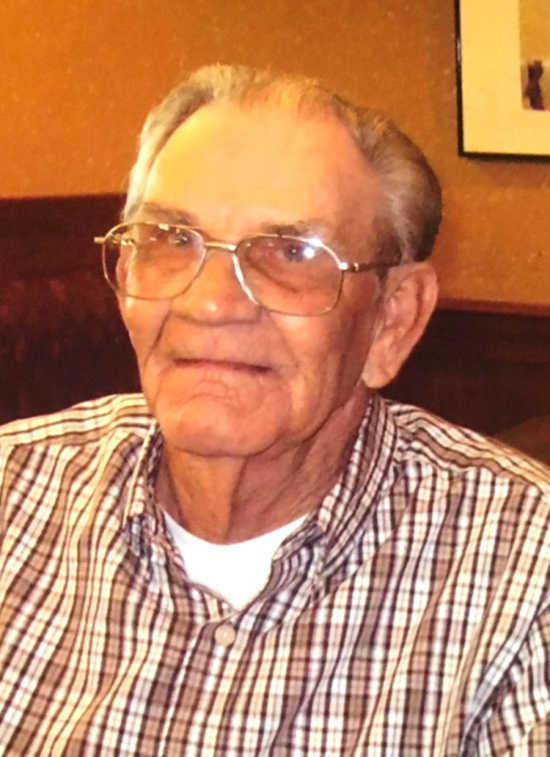 Charles Wayne Brickell, 80, of Caraway passed away Sunday, Dec. 30, 2018, at NEA Baptist Memorial Hospital in Jonesboro with his family by his side. Charles Wayne was born March 17, 1938, to the late Charles and Lucille (Johnson) Brickell in Caraway, where he lived all his life. He graduated from Caraway High School in 1957. He married his high school sweetheart, Glenna Fletcher in 1958. He served in the United States National Guard for six years, 1956-1962. After retiring from farming, he was a long time employee of the Thermogas Company where he later became manager. His hobbies included flying model airplanes, tending to his garden, and watching western movies. He was a kind and gentle person who loved spending time with family and friends. He especially enjoyed spending time with his grandchildren and watching them play sports. He was their biggest fan and supporter. Charles is survived by his loving wife of 60 years, Glenna Brickell of the home; one daughter, Cindy (Bruce) Easley of Osceola; one son: Mike (Rene) Brickell of Caraway; five grandchildren, Jeremy Williams, Anna Brickell, and Abby Brickell, all of Caraway, Amanda, (Justin) Etter, and Blake Easley of Jonesboro; five great-grandchildren, Caroline Etter, Ryan Etter, Jack Etter, Madalyn Easley, and Ben Easley, all of Jonesboro; one sister, Mary (Danny) Branscum of Jonesboro; one brother, Danny (Sandy) Brickell of Sikeston, Mo., and a host of other family and friends. Funeral services were at noon Thursday, Jan. 3, at the Church of Christ in Caraway with Jerry (Chub) Qualls and Eddie Dunigan officiating under the direction of Faith Funeral Service, Manila. The family received visitors at the church from 11 a.m. until time for the service. Burial was in Caraway Cemetery with Wayne Heidelberg officiating. Pallbearers were Eric Branscum, Tommy Carner, Blake Easley, Don Fletcher, Dickie Hill, Ronnie Wahn. Honorary pallbearers were Rudy Anderson, Dairl Anderson, Ricky Austin, Tim Brickell, Lynn Haag, Jarrel Mahan, Jim Redding, Mike Rhodes, J.L. Shortnancy, Charles Watson, and the Caraway High School Class of 1957. The family would like to acknowledge the staff on the fourth floor of NEA Hospital and the staff of Arkansas Home Hospice Providers for their care and loving support during Charles’ illness. A special thanks to Dr. Brock Harris. In lieu of flowers the family request donations to St. Jude Children’s Hospital and Arkansas Home Hospice Providers.